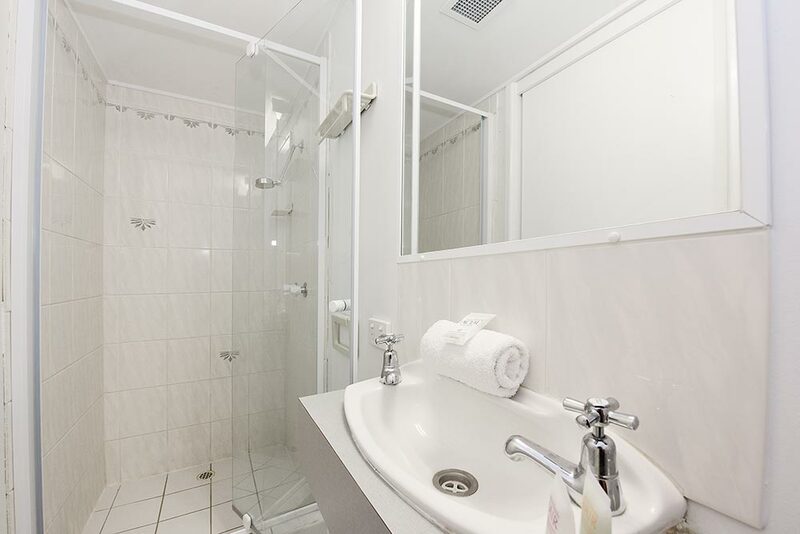 The sparkling, blue expanse of the Bribie Passage heralds your welcome to this 3 bedroom apartment on level 2. With this magic view, that can be enjoyed from the kitchen, living room and verandah, relaxing in this apartment will be easy at any time of the year. An open plan, fully equipped kitchen with broad expanse of windows, incorporates a dining area for 6 people and is complete with microwave, stovetop, oven, large capacity fridge and a comprehensive array of cooking utensils. The adjoining living space, complete with 3 leather lounges and 41” flatscreen television, provides for absolute comfort at any time of day or evening during your Kings Beach getaway. The main bedroom with En suite is furnished with a queen bed ensemble and is equipped with a 29” television and ceiling fan. A large window to the west, allows for plenty of light and fresh sea air. 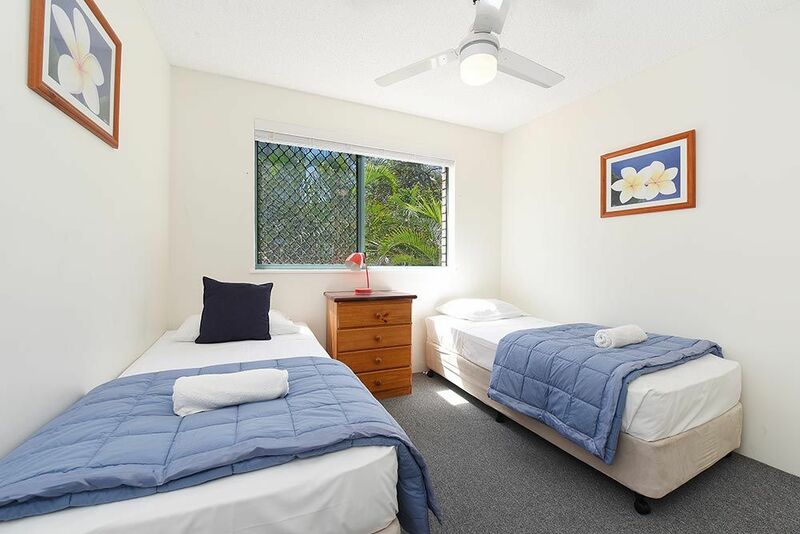 A spacious second bedroom accommodates 2 more guests with twin single ensembles, ceiling fan and built in wardrobes. 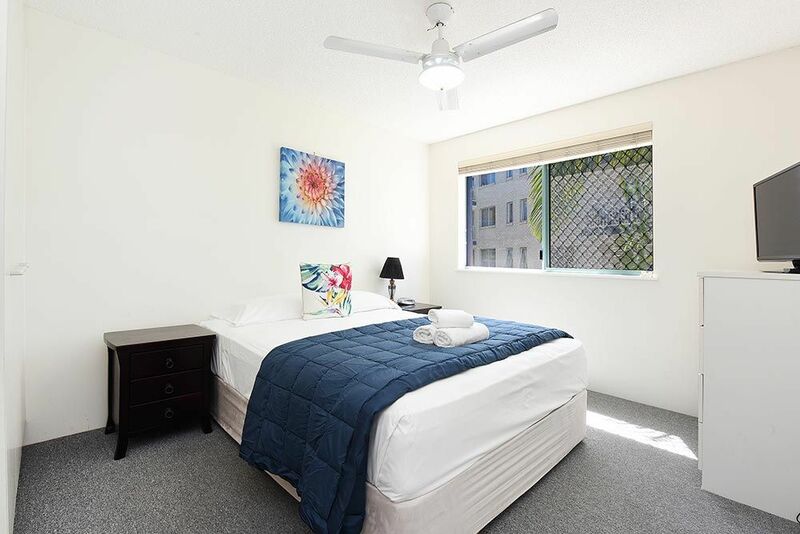 The third bedroom, to the north east of the apartment, has the comfort of a double bed ensemble, ceiling fan and incorporates built in wardrobes. 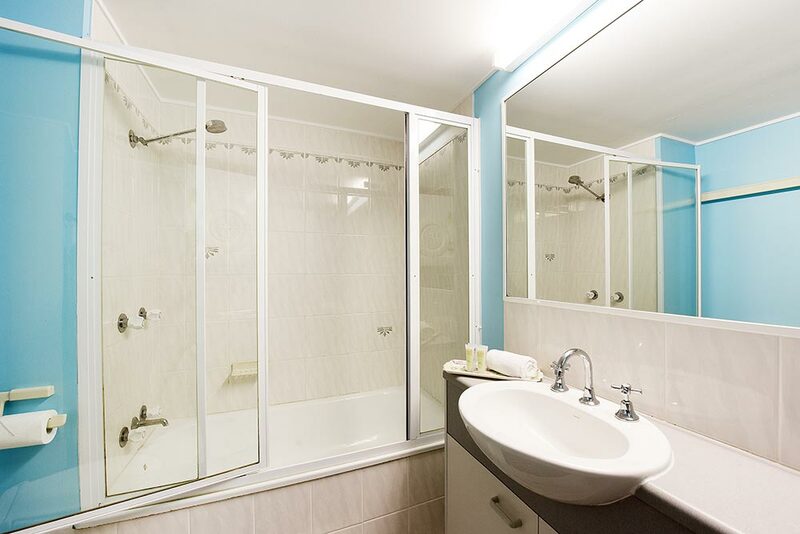 The main bathroom, with shower and bathtub combination, includes complete laundry facilities with large capacity washing machine, tumble dryer and large laundry tub. A clothes airer, iron and ironing board are provided for your use. 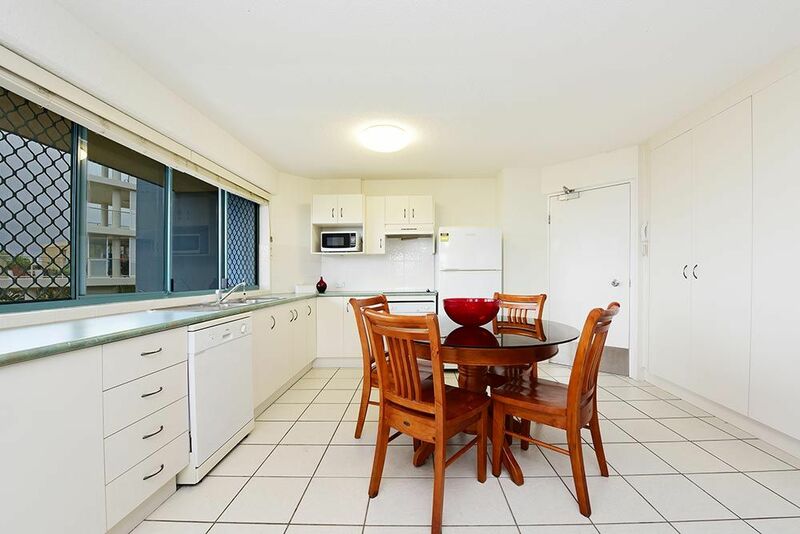 This apartment has masses of storage and a secure, off street garage space which is secured by remote control and accessed from the lower entry driveway of the apartments. 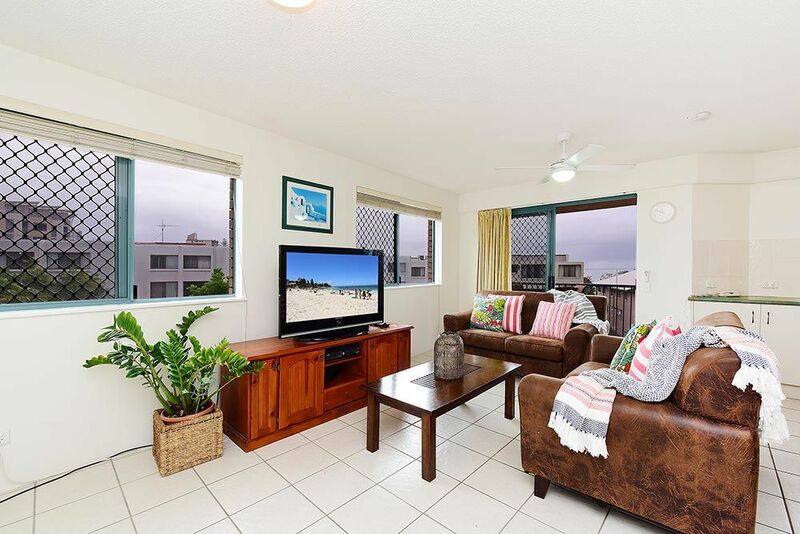 With capacity for 6 guests, this bright and beachy apartment will appeal to any group of guests that enjoy comfort with a view.